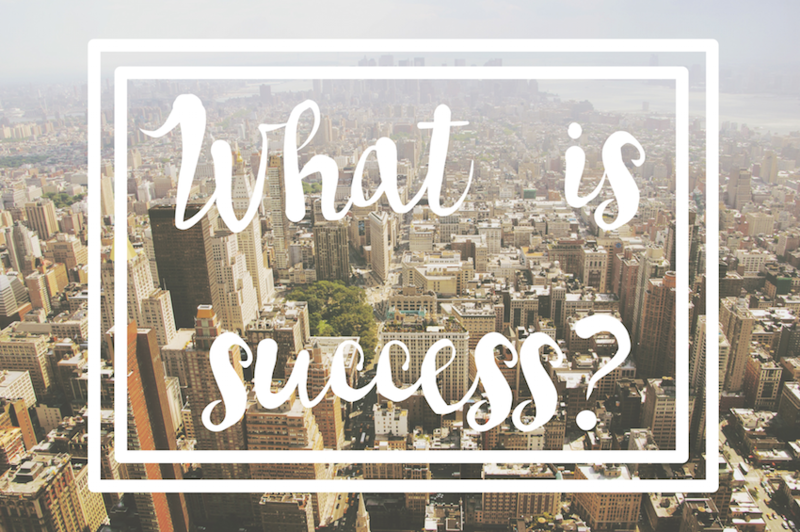 WHY SUCCESSFUL PEOPLE ARE UNSECCESSFUL | RAWR BOWS. A few nights ago I dreamt I wrote an article for a magazine about why some famous guy didn’t feel successful at all and wasn’t happy with his life, whilst someone else who probably wouldn’t be considered ‘successful’ in today’s society, felt like he got what he wanted and was perfectly happy. When I woke up I didn’t really remember what I wrote in that article but I thought it would be a good thing to write a post about so here I am. It’s not uncommon to find someone that we think has been or is being successful and find out that they don’t consider themselves successful at all. An easy example of that is school. Some students won’t be happy with themselves until they get an A+, however, some other students might be bursting happiness when they get a B. It all depends on what we are expecting from ourselves and what our ultimate goals are. If someone’s dream is to be Roll Royce’s engineer then they better work their asses off and get that A+. But if someone just wants to have a relaxing life and only make enough money to live decently then they don’t need to get such good grades to achieve what they want. Success is relative and this is something we usually forget. Another important factor is that we often want what we don’t have, how many brunettes wish they were blonde and vice versa? It happens all the time in life, we see something we don’t or can’t have and we want it. This can be good in some situations since it can makes us work harder to achieve our dreams, but it can also make us feel like we are useless or like we are not good enough. It's important to remember that no one is perfect and we can't be perfect at every single thing we do. However, we can work hard to improve and to become the best version of ourselves. I think what I'm trying to say with this post is that not everything is what it seems and that you should not compare yourself to anyone else other than your old self.